Chinese live streaming platform, HUYA Incorporated has acquired exclusive Chinese broadcasting rights for the World Electronic Sports Games (WESG) 2018/2019 season. Alisports began WESG in 2016 and plays host to a massive tournament with nine months worth of qualifiers in CS:GO, Dota 2, Starcraft 2 and Hearthstone with separate tournaments for women in CS:GO and Hearthstone. The tournament as a whole gives out $5.5m (£4.7m) in prize money with $1.5m (£1.3m) of that in CS:GO alone, more money than any Valve-sponsored event. Qualifiers for WESG are so long they’re considered a “season” culminating in grand finals held in China the following year. Qualifiers cover more than 20 provinces in China which will reach almost every city in the country. Broadcasts are done in 14 different languages HUYA will now exclusively hold the rights for broadcasting in the tournaments star region, China. HUYA is said to have invested tens of millions of renminbi into the deal and will itself host an online qualifier with a prize pool of ¥80,000 (£10,000). Alisports has made waves after establishing itself as the sports sector of the Alibaba Group. 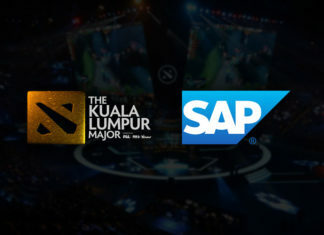 In January of last year, it announced a new partnership with Vainglory developer, Super Evil Megacorp and just last month established AirAsia as the airline partner for WESG. Esports Insider says: Alisports continues to build the WESG brand as a leading tournament in not only China but the world in only its third year. Huya is a leading platform in the Chinese region and as WESG is held every year in China this partnership is really a no-brainer and certainly welcoming to the local audience.